The Human Security and Peacebuilding (HSPB) Program is intended to strengthen human security as a means to build peace. This is achieved through partnership building, policy advocacy, awareness raising, multi-stakeholder dialogues and direct actions. These are done in partnership with grassroots communities, civil society organizations and networks, non-state actors, and multilateral and state bodies. Within and across these contexts, core issues namely armed conflict, impunity, culture, ethnicity and identity based marginalization, culture of peace, citizens’ participation, peace process, and people-centered security are addressed. The Solidarity Building Program (SBP) of IID aims to develop, expand and strengthen people-to-people solidarity in the region. The SBP will contribute to the promotion of democracy, peace and human rights in the region through a heightened engagement of civil society with states, multilateral bodies and non-state actors that results to a reformed policy and practice environment on issues related to democracy, human security, self-determination, human rights and gender. The SBP will deliver this through the consolidation of its networks, joint and harmonized campaigns on relevant issues among IID’s regional and local partners, and through the establishment of partnerships with other key stakeholders such as academe, media, church, think-tanks and entrepreneurs on specific issues. SBP will anchor all democracy-related advocacy of IID. 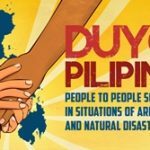 In the Philippines, IID is the convenor and secretariat of a country-wide solidarity movement for Burma called the Free Burma Coalition – Philippines. FBCP engages in public advocacy for increased Philippine public support to the cause of human rights and democracy in Burma. Together with the FBCP, IID engages the Philippine government and the ASEAN for a policy shift towards a more pro-active role in improving the human rights situation and to support a democratization process in Burma. IID and FBCP also provide leadership and direction to the regional solidarity for Burma; and engage the democracy activists inside and outside the country through dialogue, in pursuit of a broader cooperation for democracy and human rights. IID’s rich and broad experience and discourse on people-to-people solidarity are harnessed and imparted programmatically and systematically through organizational learning and knowledge sharing. As IID is committed to being a learning organization, it puts premium on evidence-based work, the development and creative sharpening of its discourse and the mission-driven technology use. IID seeks to continually deepen the theoretical basis of its work, sharpen its analytical framework and further its discourse through various strategies and approaches including internships and exchanges, people’s diplomacy seminars and workshops, research and strategic communication and production of knowledge products. Organizing knowledge acquisition and knowledge development for the institution and providing IID the necessary learning tools, training resources and opportunities for knowledge sharing are among the key areas.